I never took the time to show you the Idylle doll poses possibilities . Today, some pictures to give you an idea on possible poses. This entry was posted in Non classé on 19 avril 2016 by Anne-So. I always try to offer to my doll an universe. So I got and made a lot of furnitures and accessories to create the small world of dolls. I offer some of these on my etsy shop. The theme of the day is « magic and divination ». 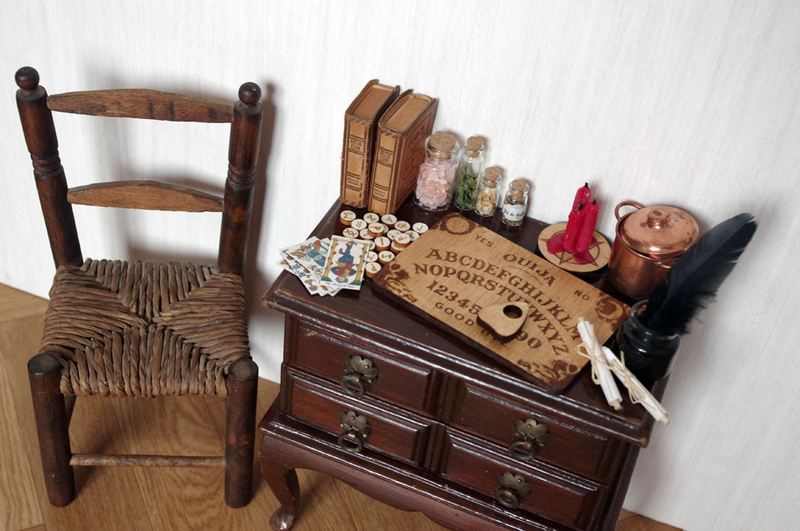 You will discover soon : parchment, ink wells, runes, candles , pots and ouija boards for your BJD. This entry was posted in Shop on 17 avril 2016 by Anne-So.